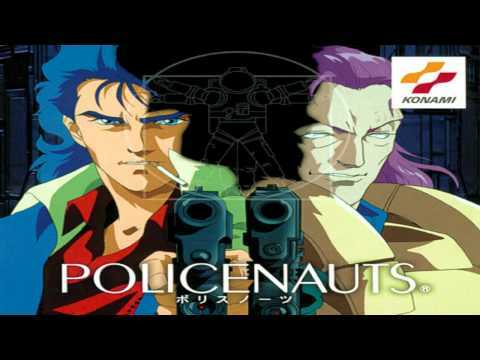 Policenauts is a game that was never even officially released in English… It’s probably Kojima’s least known game worldwide. And to be honest, it wasn’t quite as good as his previous visual novel-style game, Snatcher. But it was still a blast. I still remember those daimyo crests… This is probably one of several games I’ll replay in the original form once my growing Japanese skills reach that point (of course, what I first played was the English fan translation). Anyway, you’ll surely remember something familiar listening to the first few seconds of this tune. They were used in Metal Gear Solid… as the Konami logo flashes. Everything comes to an end eventually… Kojima’s amazing decades at Konami having ended in such a tragic way… Remembering the amazing Metal Gear games, Zone of the Enders, Snatcher, this one, and knowing that they’ll remain forever in the past… I almost want to cry.